PlanTask are always striving to improve our service to our customers, if you have an comments or suggestions please contact us via email. Rather than set up their own vessels, many PLANMASTER customers elect to have their vessel definitions created by PlanTask Ltd's dedicated team of experts. Several levels of detail are available, ranging from the bayplan layout only to full stability and stress calculations. Contact Nick Goss for more information. 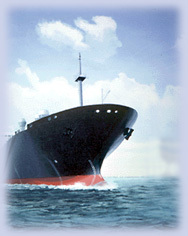 The Directors of PlanTask Ltd have many years experience of computers and computer software applications for the marine industry, and are happy to advise clients on the subjects.